The Patented [ US Patent No. 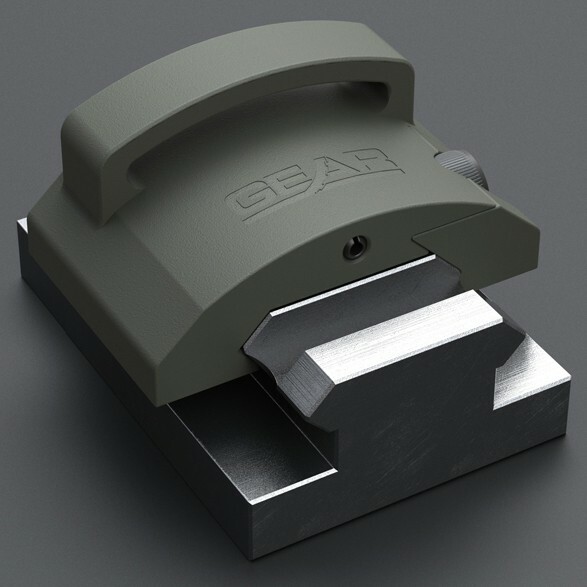 D652,470 ] Gear Sector™ Rail Mount 1” Loop was designed to provide a low profile, ergonomic solution for attaching a two or three point sling to a picatinny rail. Gear Sector designed the mount to fit perfectly flush with the Tango Down rail panels to provide an uninterrupted rail space. It accepts Gear Sector's standard auxiliary adapter for a very snug, fixed fit.